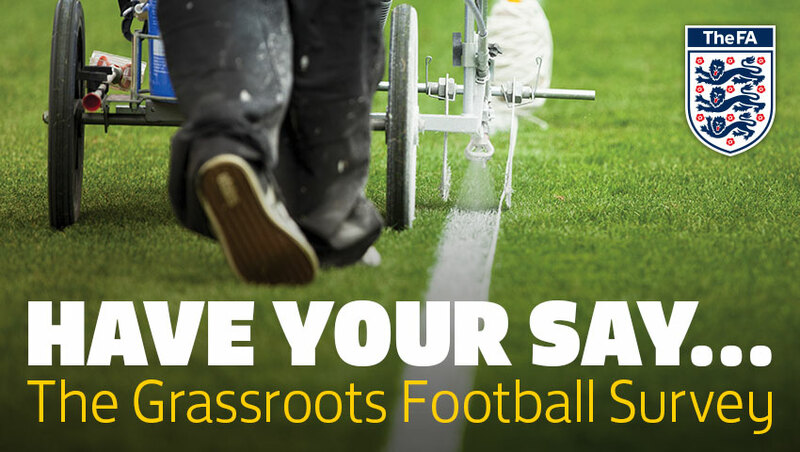 This year’s FA Grassroots Football Survey will again aim to gather opinions from the players, coaches, referees, staff and volunteers who make up the 400,000-strong grassroots football workforce, to measure the progress made to date and to pinpoint areas which require focus going forward. The FA launched the survey, which will run until Friday 28th October, to gather valuable feedback and highlight areas for improvement. In October 2015, more than 28,750 individuals completed the inaugural online poll to assess public opinion around the grassroots game. 25% of respondents said they would play more if there were better facilities available to them, emphasising the fact that not everyone has access. A commitment of £260million has been made towards the grassroots game, with facilities being one of the key areas of focus. In addition, they have pledged £48million to improving facilities directly through their funding of the Football Foundation as well as investment in 100 new turf pitches and improvements to a further 2,000 as part of a Pitch Improvement Plan. The survey can be completed via www.­essexfa.­com. Results from last year’s survey are available at www.­thefa.­com/­news/­2015/­dec/­grassroots-survey-results-101215. For more information on grassroots football, follow @­Essex­Co­un­tyFA on Twitter and search for ‘Essex­Fo­otball’ on Facebook.